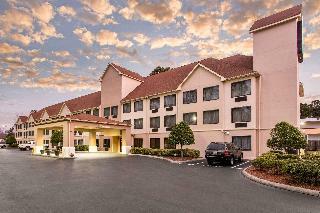 This lovely hotel can be found in Wilmington. The establishment features a total of 79 bedrooms. Guests may take advantage of the Wi-Fi connection on public areas. 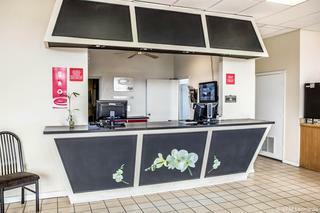 Howard Johnson by Wyndham Wilmington offers a 24-hour reception service, so that guests' needs will be fully met at any time of the day or night. Pets are not permitted on the premises. 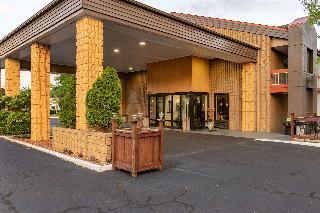 Howard Johnson by Wyndham Wilmington provides parking for guests' convenience. City centre - 8.000 Km. Golf course - 19.200 Km. you'll love our bustling beach town and our historic downtown district...welcome to the Hampton Inn & Suites Wilmington/Wrightsville Beach-Landfall Park. How to describe the area around our Hampton Inn & SuitesÂ® hotel in Wilmington/Wrightsville Beach-Landfall Park? There certainly is the Southern charm, so evident in our ancient, curling live oaks, dripping with Spanish moss. You'll feel our history when you stride the cobblestone streets that have also been strolled by guests ranging from notorious pirates to infamous railroad tycoons. And, of course, we can't leave out the scores of fabulous museums, theaters and shopping destinations. It's all just minutes from the Hampton Inn & Suites hotel in Wilmington/Wrightsville Beach-Landfall Park.While you're here, you're also just minutes from Wrightsville Beach, a long barrier island perfect for sunbathing, surfing, sailing and fishing. 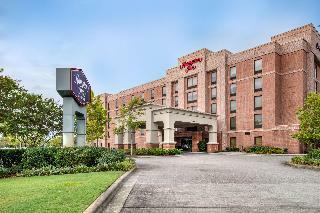 Our hotel in Wilmington is within walking distance of a number of popular destinations and restaurants. 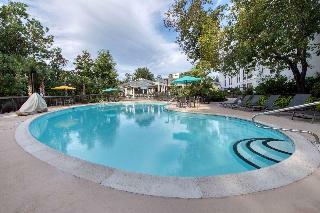 So come check into the Hampton Inn & Suites hotel in Wilmington/Wrightsville Beach-Landfall Park. We know you'll love our exciting beach town.Visitors to Wilmington, North Carolina enjoy area attractions include the Lumina Station Shopping Center, Mayfaire Town Center, historic downtown Wilmington, museums, recreational areas, and University of North Carolina Wilmington. Within 2/10 of a mile Hampton Inn & Suites Wilmington/Wrightsville Beach hotel guests can dine at some of the city's finest restaurants; The Port City Chop House, Boca Bay, The BridgeTender, Jerry's, Port Land Grille, and to see more please visit The Exquisite Restaurants of Wilmington. Here at the Hampton Inn & Suites Wilmington/Wrightsville Beach-Landfall Park, we're passionate about taking good care of you. That's why we offer a broad range of services and amenities to make your stay exceptional. City centre - 14.484 Km.